Lone Star Shopper: Squix QBox Cleaning Products Review, March 2016, First Box Just $7.99! Squix QBox Cleaning Products Review, March 2016, First Box Just $7.99! In light of current circumstances at my house (a spectacular water heater failure and resulting flood), the time seems right to review QBox from Squix. 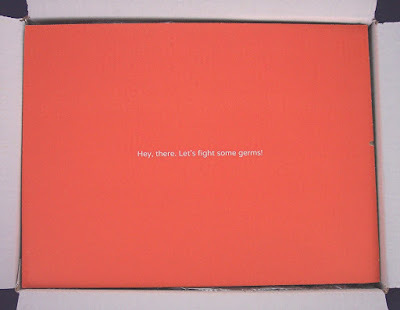 This is the only subscription I know of that focuses on germ-fighting cleaning products. That sounds pretty mundane...and it is. However, I don't know when I've received a subscription box that turned out to be SO useful. If you're skeptical (I was), they have a terrific deal on your first box....read on! When signing up for QBox, answer a few questions; then they put together a box of three appropriate cleaning products for your lifestyle. You can swap any of those items for the hundreds of other products on their site. The cost of the monthly box is $19.98 plus free shipping. Additional items can be added to your box for no additional shipping charge which is a considerable benefit since these are full size (i.e. HEAVY) items that would normally require a lot of postage. Squix offers a QRewards program that awards points for quite a few different activities that can be redeemed for discounts on your orders. It's easy to participate; they do all the record-keeping, then your points are shown at checkout and you can decide when and how you want to use them. I received my second QBox in March. Squix had chosen three products for this box but I went on a short shopping expedition on their site and swapped out all three items and added one additional item to take advantage of the free shipping. 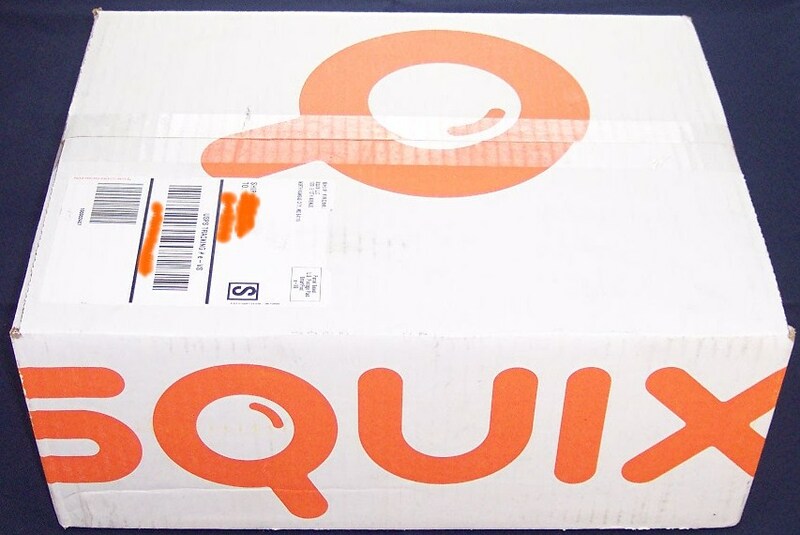 Squix sends a satisfyingly big and heavy white box with their name in orange. 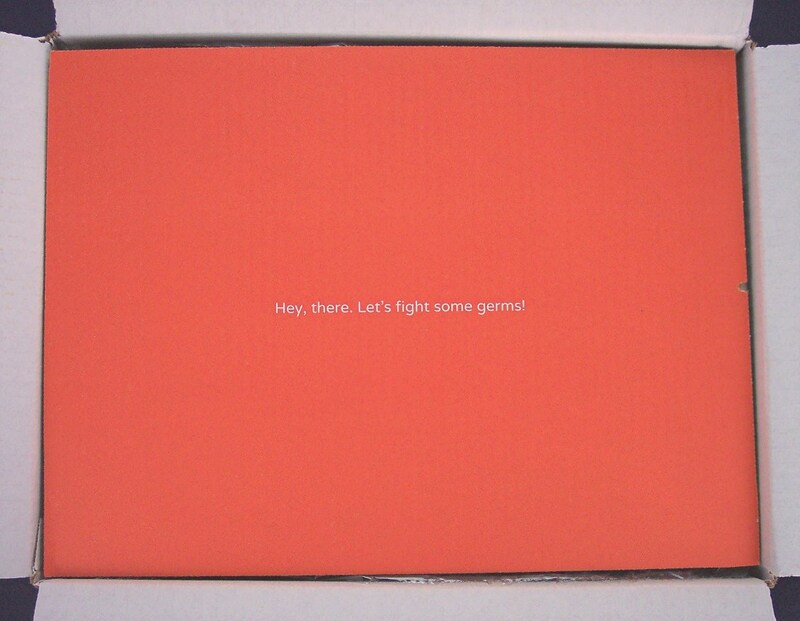 They let you know immediately that they take germ-fighting seriously! Here are the four products I received; all are the same full sizes you would find at any grocery or retail store. The value of the three products in the regular QBox is considerably less than what the box costs. That is partly my fault for not picking out more expensive items. For this box, I focused on all purpose cleaning products but the site is full of items that have much more specific uses (and may be harder to find locally) and their prices tend to be higher. Next time, I will make it a point to put more value in this box. I forgot to mention that there was a $5 QCash coupon in the box; I'm not sure if this comes in every box but it can be used like cash towards future purchases. That pretty much makes up for the value deficit in my March box. The Squix QBox is not what I'd call an exciting box but there is no denying the convenience factor nor the fact that everybody NEEDS cleaning items. (What other sub box can make that claim?) 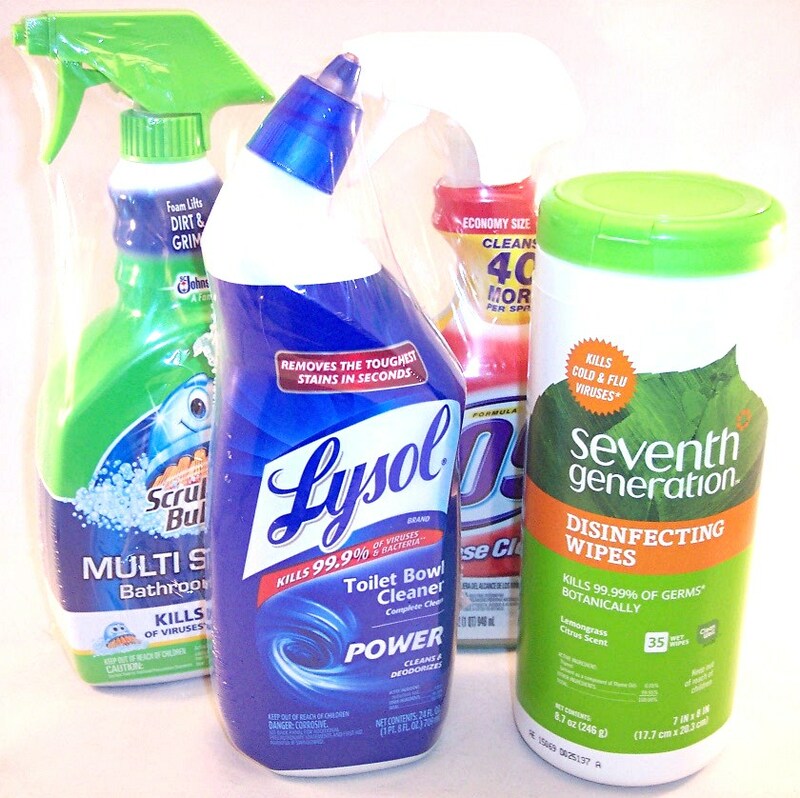 The site has an enormous selection of germ-fighting products to choose from and it's a great way to round out your home cleaning arsenal. I can't say the value is tremendous but when you consider the cost to go to a store and pick up any of these items (plus all the impulse buys you make along the way), it really does make sense. If you'd like to try QBox, click here and use code QBoxYesPlease to get your first box for just $7.99! P.S. By the way, you can hold your QBox as often as you like; no need to get cleaning products every single month unless you want them that often. Disclosure: Views and opinions expressed in this blog are strictly my own. Product discussed in this post was purchased by Lone Star Shopper. Post may contain referral or affiliate links.